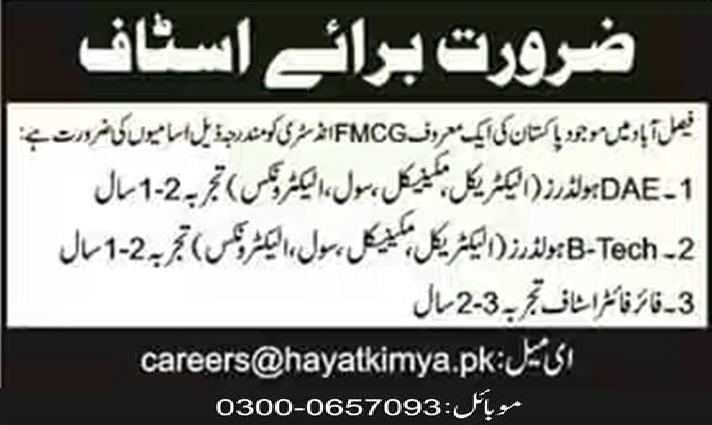 Hayat Kimya (Pvt) Limited Faisalabad Punjab. Qualification D.A.E Diploma in relevant disciplines, with 1-2 Years experience. Qualification B.Tech Degree in relevant disciplines, with 1-2 Years experience.